If you’re active on the Gram, may have noticed that I am mildly obsessed with blood oranges right now. They’re in season from December to May (that may vary depending on where you live), and they’re one of the few things I truly enjoy about winter. They’re a little tangy like a traditional orange but have an intoxicating floral aroma and a distinctly sweet flavor, almost like a raspberry or even a pomegranate. And with a mesmerizing flesh that ranges the color spectrum from dark pink to purple, from tomato orange to blood red, they are a dream for food photographers. Naturally, I bought many, many pounds of them one a recent trip to the grocery store. I juiced quite a few of them, and let me tell you, freshly squeezed blood orange juice is quite the treat. I also mixed the juice with sparkling water and fresh rosemary for a refreshing mocktail (but you know it’d also be good with some adult beverages mixed in). I needed to use up the remaining oranges, and I decided the best use for them would be a cake. I was not wrong. This Vegan Blood Orange Upside-Down Cake is one of the BEST damn cakes I’ve made. Like seriously. I’m talking light, fluffy sponge-like texture that almost melts in your mouth. And this cake is perfectly sweet with a bit of welcome tartness. Plus, the presentation is beyond gorgeous and a total crowd pleaser. This beautiful and unique presentation makes this cake fitting for Valentine’s Day, especially if your special someone is not a chocolate person. I mean, I don’t understand people who don’t like chocolate, but I know they exist, so if you have one of them in your life, this cake would be a perfect treat for them. Regarding the ingredients, this is a fairly standard cake recipe in the sense that it is not so healthy. But you know what, sometimes cake made with real flour and real sugar is worth it. Like really worth it. This cake is so light and moist and tender that I ate three pieces in ten minutes and I didn’t feel guilty at all. It was that worth it. Plus, if you compare it to a traditional cake of a similar nature, it is healthy because there are no eggs or dairy products (did I convince you?). 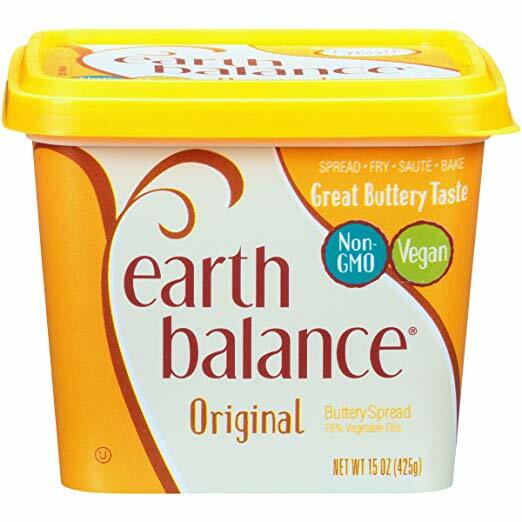 If you do want to make this cake a bit healthier, you can start substituting the 1 ½ tablespoons vegan butter with extra-virgin olive oil (the oranges might not caramelize as much though). You can also use a gluten-free flour blend instead of the all-purpose flour, or substitute ¾ cups of the flour with almond meal/almond flour. Finally, this cake is pretty sweet, so you can reduce the ¾ cup + 2 tablespoons sugar by a few tablespoons. But, if you are able to eat one slice of cake sensibly (instead of three slices in ten minutes), then forget the substitutions and just enjoy this wildly delicious cake! Finally, a couple tips for making this cake. To ensure that your cake doesn’t end up bitter, you want to make sure that you properly peel your blood oranges (the bitterness lies in the peel). Here’s a helpful visual tutorial on how to peel and then slice your oranges into slices. Make sure you don’t slice them too thick, or else they’ll weigh down the cake and get soggy. Since this is a blood orange olive oil cake (I didn’t include it in the title because I’m trying to avoid super long recipe titles), you want to make sure you use a fruity, high-quality extra-virgin olive oil. Don’t use the cheap cooking oil variety of olive oil! My favorite affordable brand of extra-virgin olive oil (that has been vetted by experts) is California Olive Ranch. I like using a springform cake pan for upside-down cakes because it makes it easy to unmold and invert the cake, and then you can simply slide the base plate off, ensuring that your oranges stay nice and undamaged. 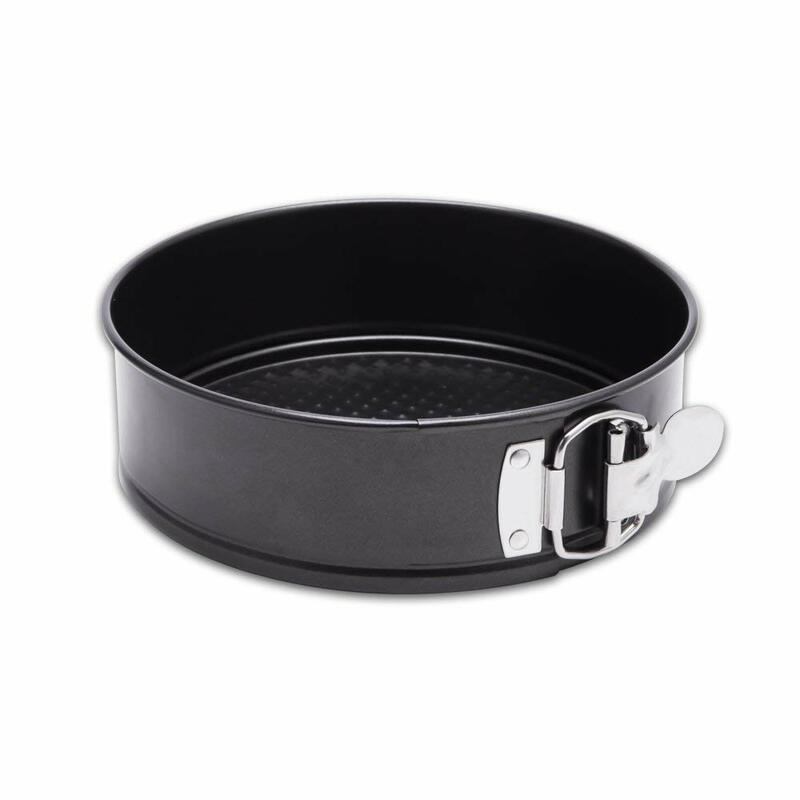 However, if you don’t have a springform pan, you can use a 9- or 10-inch round cake pan, but keep in mind that if your pan is wider and more shallow than a 9-inch springform pan, you’ll likely need a shorter bake time. When the cake is done, it will still feel a bit moist and tender, but a toothpick inserted in the center should come out with mostly clean crumbs. If the toothpick still has wet batter on it, give the cake more time. If you’re wondering why there’s almond extract and vanilla extract in this recipe, it’s because the combination is lovely. The almond extract imparts a delightful, subtle cherry flavor to the cake, which I adore. But if you don’t have almond extract, just substitute more vanilla extract. 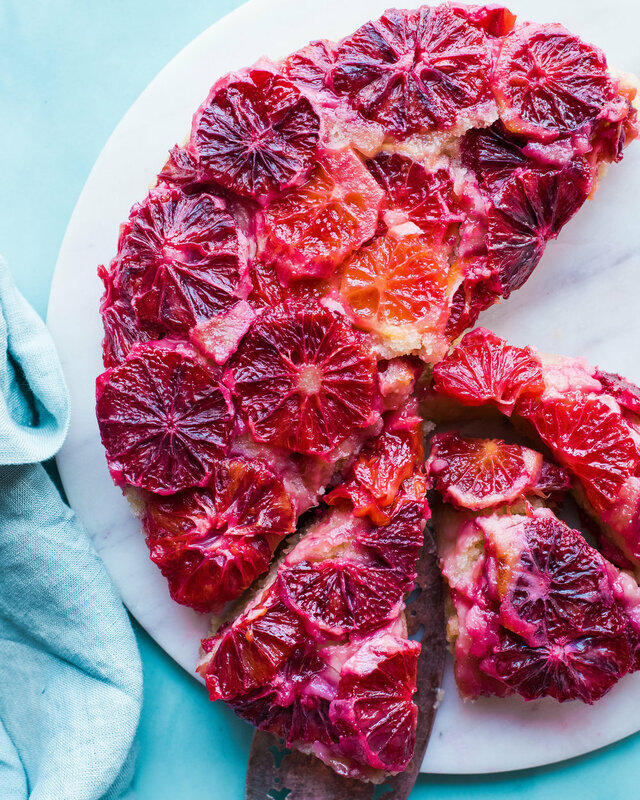 If you try out this Vegan Blood Orange Upside-Down Cake recipe, let me know in the comments below! Preheat oven to 350° (177°C). Grease a 9-inch springform pan with the 1 ½ tablespoons vegan butter (or extra-virgin olive oil). Sprinkle the 3 tablespoons cane sugar evenly on top of the butter, tapping the pan on the counter and tossing around to coat evenly on the bottom and a bit on the sides. Peel the blood oranges and then slice them into 1/8 to 1/4-inch rounds. Arrange the oranges in concentric circles in the bottom of the pan, overlapping them as needed to cover all the open spaces and gaps (you can cut oranges in half to do this). In a large bowl, mix together flour, baking powder, salt. 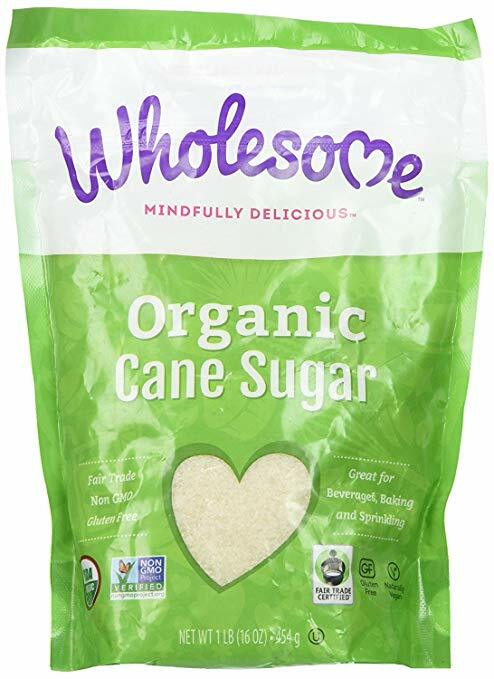 In a medium bowl, whisk together plant-based milk, ⅓ cup extra-virgin olive oil, ¾ cup + tablespoons sugar, apple cider vinegar, almond extract, and vanilla extract until smooth. Pour the wet ingredients into the dry ingredients and gently mix with a wooden spoon until combined and no flour clumps remain. Pour the cake batter on top of the orange slices in the pan and smooth out with a rubber spatula. Tap the cake pan on the surface to remove any air pockets. Bake the cake for 50-55 minutes, or until a toothpick comes out with just a few crumbs. The cake should be tender, fluffy, and moist. Allow the cake to cool in the pan for 15 minutes, then unclasp the spring and carefully invert the cake onto a wire rack to further cool.